Book your Hills Heist classes at Winebar One! The Melbourne International Wine Competition (MIWC) is now taking wine submissions. Now in its fifth year, MIWC will be held in the heart of Melbourne on June 24-25, 2018. MIWC sets itself apart with its judging panel – made up of real trade-only buyers who will judge wines by category and actual price. 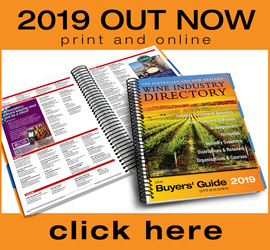 This is a great opportunity for established wines to reconnect with true trade buyers and for new wines to be discovered. Direct Wine Workshops Australia is a 3-part online webinar series presented by Sandra Hess of DTC Wine Workshops and Robin Shaw of Wine Tourism Australia for Australian wine companies wishing to enhance their direct sales. The first online workshop kicks off on Wed 9 May, followed by workshop 2 on Wed 16 May with the final workshop on Wed 23 May. Participants will learn essential skills to effectively convert cellar door visitors to loyal customers. Aimed at small and medium sized wineries, the series will provide a strong foundation for developing and implementing a successful direct-to-consumer strategy. 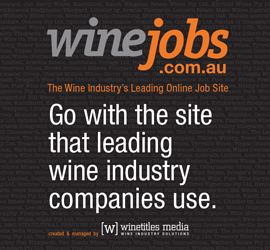 Wine Business Solutions will soon be holding workshops around Australia. Join the biggest gathering of the Private Label, Bulk Wine, Bulk Spirits, Contract Brewing and Contract Manufacturing Industry on July 25-26 in San Francisco. 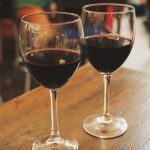 No show offers buyers a greater opportunity to meet producers who offer private label wine, spirits, bulk wine, bulk spirits and contract manufacturing. The 2nd Annual IBWSS San Francisco Exhibitor registration deadline is April 30, 2018 so book your exhibitor spot and get set to grow your bulk, private and contract business in the US market. To learn more about the show and full conference schedule, please visit www.ibwsshow.com. A Technical meeting to be held in Blenheim will centre on two iconic New Zealand varieties – Sauvignon blanc and Pinot noir – and will focus on how to shape the unique wine style while maintaining regionality and personality. World renowned researchers and practitoners will present cutting edge wine microbiology research and discuss final product and consumer research. Register now for the 2018 Langhorne Creek Wine Show! The Langhorne Creek Wine Show is a regional competition open to all financial winemaker members and is held in the first week of May. Held as both an awards presentation and end of vintage celebration, it is a day when grapegrowers and winemakers come together to support the local wine industry, commend the award winners and let their hair down with the rest of the local community. Enter by Friday March 16 2018. It’s that time of the year again with vintage 2018 now in full swing. AWRI Commercial Services offers efficient and accurate vintage analyses, which can assist your company in making this vintage a successful one. For vintage analysis pricing check out the latest 2018 Vintage Purchase Order. For information on all other analytical services, download the latest price list or visit the AWRI Commercial Services analyses page. Don’t forget… AWRI Commercial Services can also give you confidence by testing wine additives for compliance with the Food Chemicals Codex (FCC). The current suite of additive analyses covers DAP, ascorbic acid, citric acid, erythorbic acid, malic acid, tartaric acid, PMS, PVPP, potassium sorbate, potassium bicarbonate, potassium carbonate and thiamine hydrochloride. Enter your Cool Climate Wines now! The 18th International Cool Climate Wine Show is now accepting entries from all Cool Climate Regions within Australia and Overseas. Please go to our website for details and online entering: www.internationalcoolclimatewineshow.com or email info@internationalcoolclimatewineshow.com for more information. As part of the Stanthorpe Apple & Grape Festival, 2017 ASVO Australian Winemaker of the Year, Mike Hayes, is holding eight masterclass opportunities from Feb 24 to March 4. It’s an opportunity for wine lovers to learn about some of the world’s rarest wine varieties and be guided through the origins, aromas and flavours of the most exotic wine styles in the world. 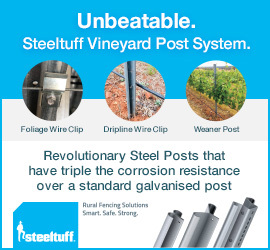 Relied on globally for over 60 years – Now available in Australia. With more than 60 years global innovation and manufacturing experience, Kingspan has set industry standards for commercial and domestic wastewater treatment solutions which have been tested and are suitable for applications of up to 300 population equivalent in a single tank. The Kingspan Commercial BioDisc® is a cost effective and energy efficient wastewater treatment plant, suitable for a range of projects including hospitality and accommodation.